We will add you to our mailing list to keep you posted about updates, events and goings on. 1 x Admission for 2 people within the first year of CMOWA's grand opening. 6 month CMOWA Membership for 2 (1 Adult + 1 Child). Valid from time of opening. Annual CMOWA Membership for Family (2 x Adults + 2 x Children) (Valid for one year from time of opening). Your name up in lights on the best looking donor wall you have ever seen! You and your immediate family are invited to be part of history and help us create a large scale mural/piece of art that will be displayed and featured at CMOWA. Who loves theatre? Honour a friend or family member by writing their name, or a quote, on a brass plaque on a seat within our custom designed children's theatre. Naming a seat would make a unique gift for Christmas, birthdays or a memorial to a loved one. This reward grants you not only all of the above, but lifetime membership to CMOWA (1 Family - Up to 4 x Adults and max 4 Children), and your very own private day at CMOWA. You can have a birthday party, a wedding, a workshop... let's talk! A whole room in our museum, named after you, for you, or by you... as long as you don't call it 'Boaty McBoaty Face', all other names (suitable and without profanity) will be welcomed and honoured with a plaque. Are you imagining it now? Are you? Go on! 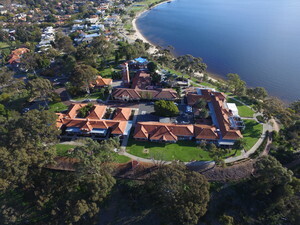 We have been offered the perfect building at Heathcote Cultural Precinct, a spot known and loved by Perth families. Surrounded by incredible natural landscape and an already popular award-winning playground, this is the perfect place to create the first Children’s Museum here! 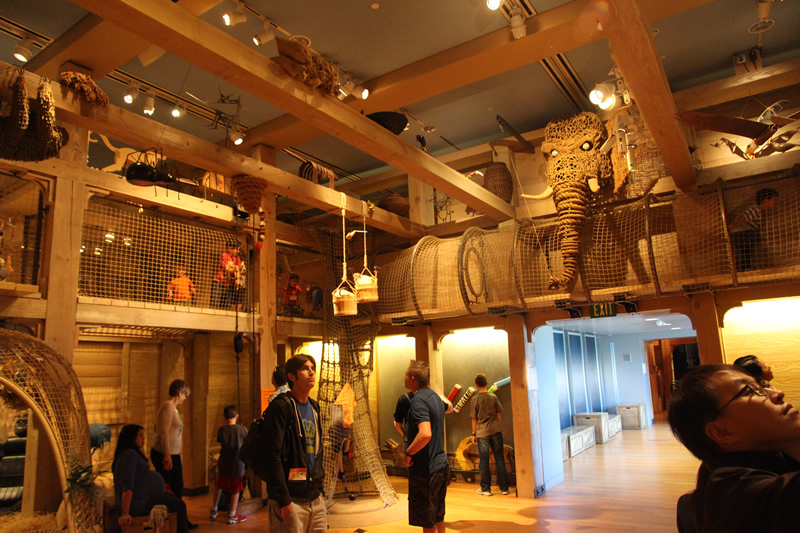 Over 31 million families visit children’s museums annually in other areas of the world. Children’s museums are completely different to traditional museums – they are environments built to a child’s scale, that offer dramatic mini worlds in which to ponder, wander, explore, try and even taste if needed. There are over 400 children’s museums across the USA, Europe and Asia (some of them even bigger than The Art Gallery of Western Australia). They are often visited multiple times a week by families, and provide non threatening environments for first time learners (children, adults and non-English speakers) who are usually not comfortable visiting museums. 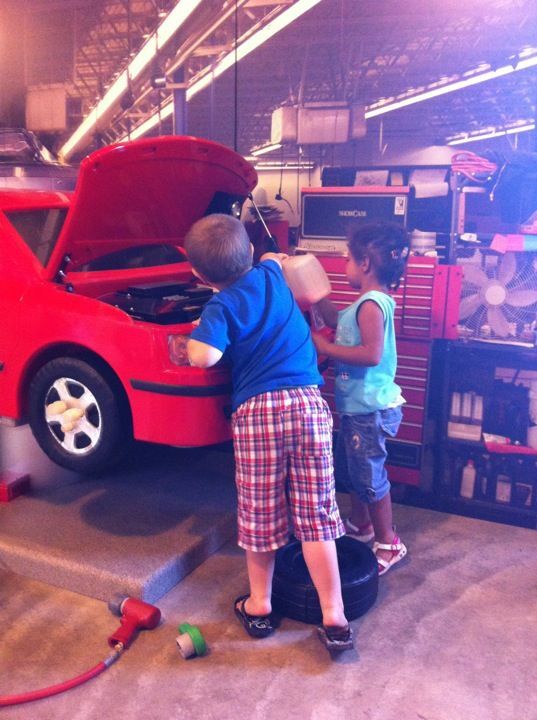 Objects in children’s museums can be manipulated, and learning occurs because of interaction with the environment. A good exhibit in a children’s museum stimulates memory and imagination by eliciting emotional responses, making environments that are complex, or realistic, or beautiful or even scary. $100,000 is what it takes to create incredible exhibits and allow us to open by late 2018! 2. Outreach programs with schools/children’s hospitals and other organisations. 3.After school holiday workshops and programs. We will start with the building – which will serve youngsters and families in the metro area, but the next stage is to start programs, events and travelling exhibitions, that will take our visions and aims to the remotest corners of WA. Of course long term, the dream is still for a HUGE central building that can serve children 0 – 12, include a wider range of exhibits, a shop, full time theatre (dedicated to international and national children’s shows), and more space to hold classes and work shops on site – but this is a wonderful start! – By mid/end of January 2018, we need to have raised enough money to enable us to fill 4 rooms with exhibits. – May 2018 installation commences and by the October school holidays you will have a new place to take your family! Play is as natural to a child as smiling, crawling or reaching out to a loved one for a hug…it is also recognised as a powerful developmental force that encourages exploration, risk taking, the development of social networks and higher engagement with their environment. CMOWA’s exhibitions and spaces will be designed to address the multiple ways children learn, and to help parents support and nurture their child’s development. 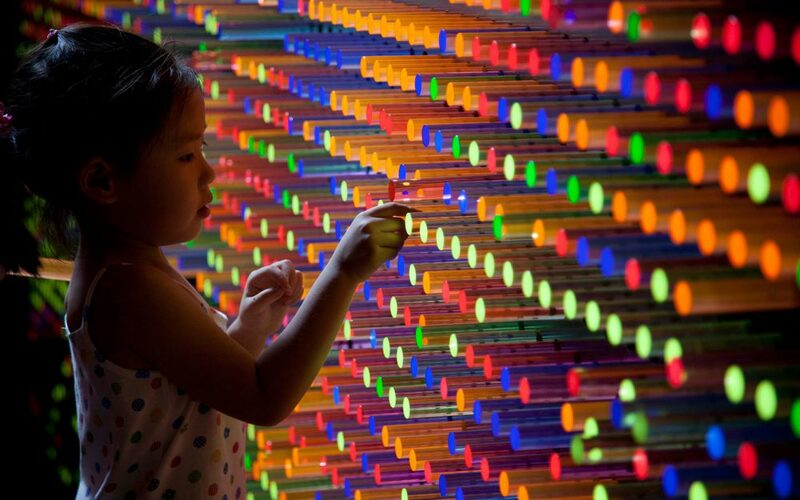 Peek inside a children’s museum and you’ll see babies and toddlers touching a variety of textures, stacking blocks, crawling through a tunnel or blowing bubbles. Take another look inside a children’s museum to see boys and girls enter a 19th century ship where they hoist a net full of fish, take part in a fishing derby, raise and lower sails and semaphore flags, all the while building an understanding of maritime history. At a children’s museum, the general rule is: Please Touch! · Museums rank among the top three family vacation destinations. · Trips including cultural and heritage activities comprise one of the most popular and significant segments of the travel industry, accounting for over 23% of all domestic trips. · Visitors to historic sites and cultural attractions, including museums, stay 53% longer and spend 36% more money than other kinds of tourists. · Quality of life issues contribute significantly to decisions businesses make in choosing to relocate, including access to cultural resources that includes a dynamic museum community. · Children’s museums across the world have rejuvenated and activated city centres or suburbs where they are located and encourage strong economic growth in their communities. In 1975 there were approximately 38 children’s museums in the United States. 80 new children’s museums opened between 1976 and 1990. Since 1990, an additional 125 have opened. There are about 70 children’s museums in the planning phase alone, and over 400 children’s museums around the world. Now it’s Western Australia’s turn! Realising everyone is not in the position to contribute financially, the BEST thing you could help with is to help SPREAD THE WORD! – Word of Mouth – please tell everyone you know! Friends, other parents, families, people from school…the more this page is shared the more chance we have of gaining the financial support we need to support our vision. Business and Investment Opportunities are available: Please contact Victoria at victoria@studiovictor.com.au if you are interested. *As pre-sales (memberships) and funds are being raised to support the launch of CMOWA, all money will be held in a holding account, not to be used until exhibition design and installation occurs. *As some of the rewards are in the form of Memberships, these packages can easily be transferred into other peoples names, so would make great gifts! *If you donate and do not wish to gift the Membership to anyone you know, we will be working with schools and community groups to pass Memberships on to families in need, that otherwise would not get to use and enjoy the facility. *** All pictures shown are examples from children’s museums across the globe. I worked in the world of theatre and set design half of the week, the other days were spent nannying two hilarious miniature beings. Every week I took them to the Museum of Natural History, Met or Guggenheim, the large open spaces functioning as training grounds for Molly and Shane to learn to crawl and eventually walk. The open space was child friendly, but the exhibits were not. Lines that beeped when you crossed them, easily smeared glass and angry guards soon put an end to our glorious visits, and their exploring. When I was told about the Children’s Museum, I was wary… I wanted them to be free to roam and investigate, not look at old school toys behind more glass… but what a surprise… What we found was five floors of exhibitions and objects built entirely for children to touch, hold, jump on, climb over and crawl through. A place where children could learn through play. Being a designer who worked with and loved children, I had found the place and the people I wanted to design for, and the community I wanted to help build. Life being ‘what happens while you are making other plans’, I moved to Italy (Rome) for four years, where I taught English and drama to Pre-primary and Kindergarteners. Eventually I made it home to Western Australia, and two years ago I began the quest to create a Children’s Museum here in Perth, as there is such a need for a place like this. 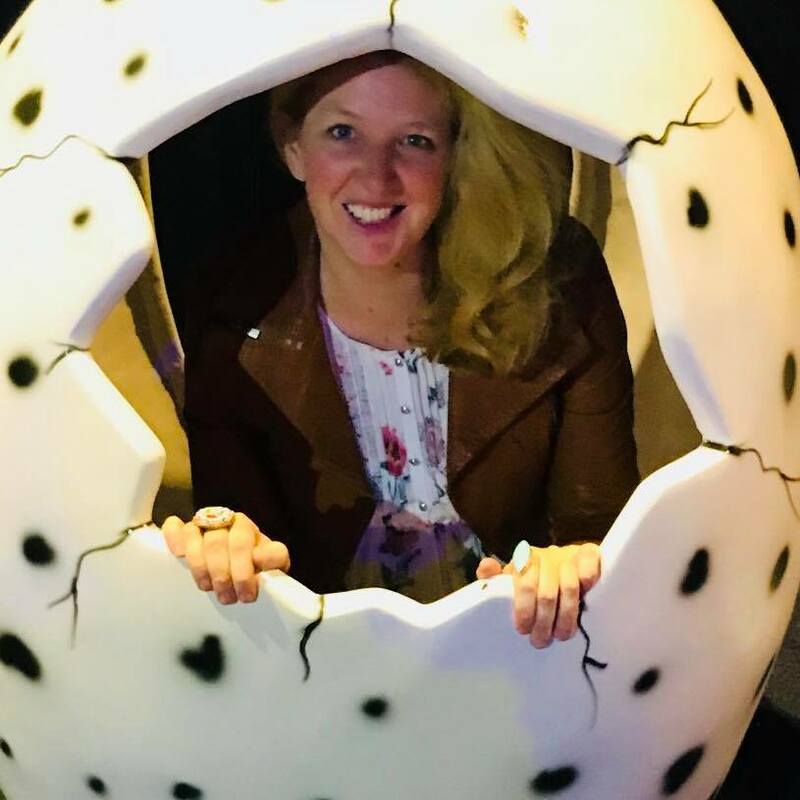 I currently have my own business designing children’s events and exhibitions, most recently being the lead designer for DINOSAUR DISCOVERY, working with the WA Museum. Last year I went back to university to do my post graduate diploma in Early Childhood, to have a better idea of how to link exhibits with the current educational curriculum.